There are a lot of fun ways to stay active that don’t require a gym.
. . . .As we age, if we don’t continually use our God-given and acquired talents, abilities, and social skills; If we don’t consistently maintain our physical strength, stamina and agility . . . “WE WILL LOSE THOSE VALUABLE ASSETS,” at an alarming rate. I’m going to prove to you, by investing 30 – 45 minutes a day, 6 days a week, for 12 weeks you can drastically change your lifestyle, that will miraculously benefit you, for the rest of your life. “Finally I’m able to quit work and now I can just relax for a really long time. Having lived in a beautiful 55 and over community in San Diego, CA for over ten years, I have observed so many folks entering Retirement, this final stage of their lives. They bring with them, a mixed bag of preconceptions. Let’s take Category number one, man wasn’t put on this earth to do nothing. Doing nothing is an easy rut to get into but much harder to get out of. 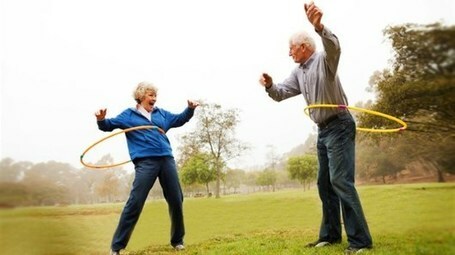 Inactivity is probably the most evil destroyer of the aging population; it takes everything away from you i.e. your ambition, creativity, health and lastly your reason for existing. Category number two: is much preferred over number one, but taken to extremes can be almost as damning. Trying to cram everything into a time frame dictated by your perception of the duration of your quality time allotted you on this earth, before you go into diapers. This overzealous approach to retirement can quickly become exhausting and likened to a job, similar to the kind you worked all your life trying to get away from. Believe it or not Category number three is by far the most prolific. In my opinion, most folks haven’t put a lot of thought into retirement. Most of their efforts were concentrated on accumulating various degrees of wealth so they would have the options to be able to do whatever they chose to. All of our productive lives we have been encouraged to plan your work and work your plan. Why would all of a sudden, would you discard this wise adage, just because you decide to retire?